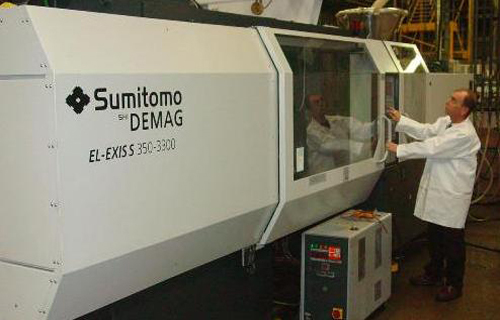 Sumitomo (SHI) Demag announced its plan to consolidate its production sites in Schwaig and Wiehe in Germany. The production site in Wiehe focuses on small and medium-sized hydraulic and all-electric machines. As part of the new production unit, the place will be responsible for the production of control cabinets and electric components. Medium-sized and large hydraulic and hybrid injection molding machines will be manufactured at Schwaig. Within the new unit, Schwaig will also operate a competence center for die cast processing and plasticization. Sumitomo (SHI) Demag hopes to speed up order processing and boost the overall flexibility of the new production unit with this new setup. Its future focus lies in high-speed, precision and automation engineering at the production sites for packaging, automotive, medical engineering, consumer and electronics applications. A central Application Engineering Centre will be installed at the Schwaig site to enhance application-related customer support, the company announced. In addition to the new Application Engineering Centre, new Expert Teams with specific, industry-related intelligence will work hand-in-hand with the sales department. “Our sales team will be concentrating on the industry and its specific requirements. This company’s product development will focus on practical applications – right from the beginning,” explained Gerd Liebig, Chief Sales Officer, who came on board beginning April 1. New order processing centers will be integrated into Sumitomo (SHI) Demag’s production organization. It means customer specifications will be implemented a lot faster and the entire company will become more customer-friendly, according to Andreas Schramm, the company’s Chief Technology Officer.